Hello, in this post we will learn how to carry out the process of HRA Calculation in Saral TDS. HRA or House Rent Allowance is a part of the salary component given to the employee to meet the requirement of family shelter. 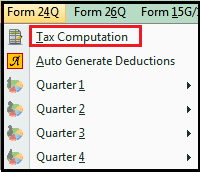 For tax computation purpose, this component is partially taxable. The resulting value will be taxable HRA for tax computation. Hence, Rs. 500 is taxable and Rs. 6000 is non-taxable out of HRA. We shall see this process in Saral TDS. 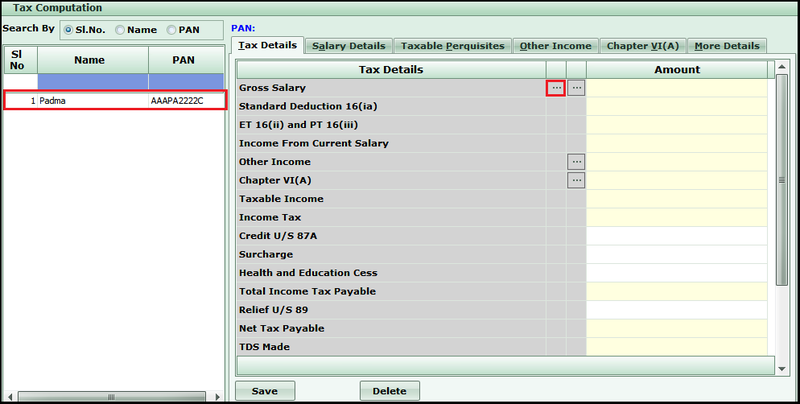 Once you enter the Deductor and Employee details, go to Salary Options under Master and do the required settings. I.e. select the required type of salary entry (Monthly, Quarterly or Yearly). Depending on the type selected, the salary details will be entered in the Tax computation screen. Next, go to Tax Computation under Form 24Q. All the employees entered in Employee Master will be listed on the list of the screen. Select the employee for whom the details have to be entered. Now, click on the first “…” button which is shown against the Gross Salary field. You will be taken to the Salary Details Tab. Here, enter the salary details like Basic, DA, HRA etc. based on the salary settings done. 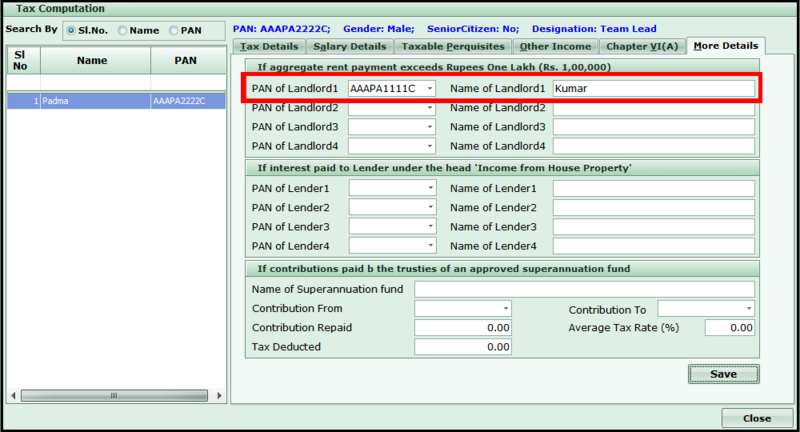 On entering the Rent Details, the exempt and the taxable HRA will be auto-calculated as per the exemption calculation explained above. If the employee is from Metro city, tick the Metro city check box. Form FY 2013-14 onwards, if the Rent declaration is above Rs. 1 Lakh per annum (Rs. 8333 per month) then it is mandatory to submit the PAN of the Landlord along with Name and Address proof of Landlord. 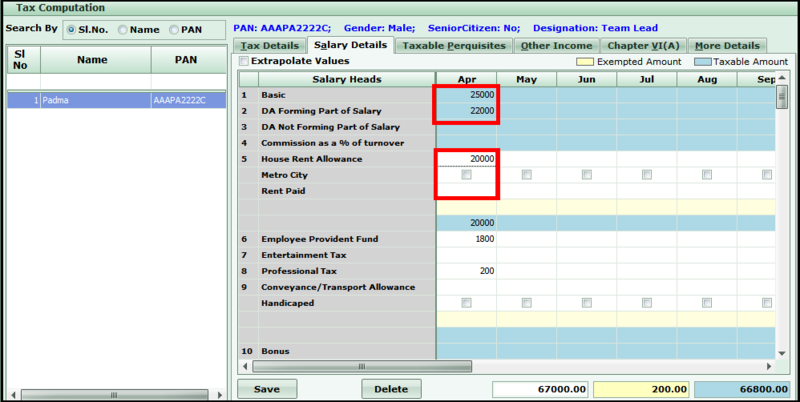 To capture these details, go to More Details tab in Tax Computation and enter the relevant details. This ends the post. If you have any questions drop them in the comment section below.